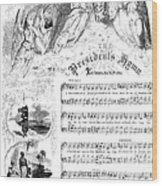 There are no comments for Presidents Hymn, 1863. Click here to post the first comment. 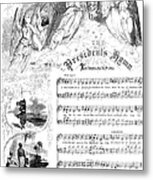 PRESIDENT'S HYMN, 1863. 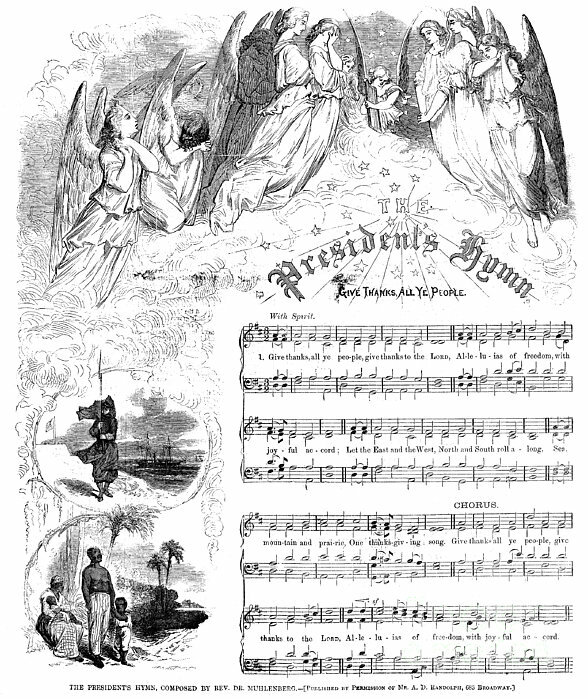 'The President's Hymn.' A songsheet published on the occasion of President Abraham Lincoln declaring 26 November 1863 to be a national day of Thanksgiving, the first time Thanksgiving was celebrated throughout the country. Wood engraving from a contemporary newspaper.